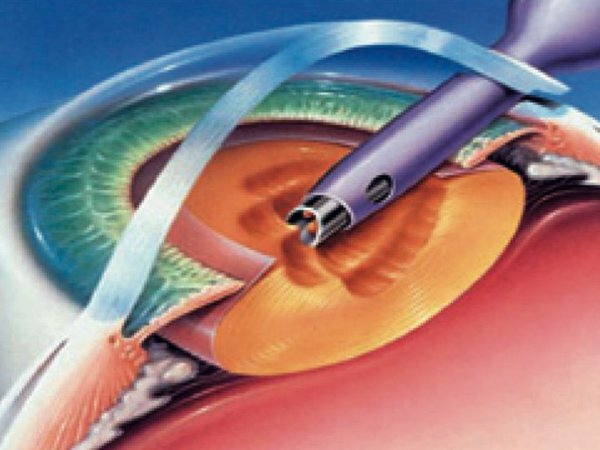 MYTH: After laser surgery, it is not possible to perform cataract surgery, if necessary, in old age. A: The laser operation is performed on the anterior layer of the eye - the cornea. A cataract is a clouding of the lens. In cataract surgery, the clouded lens is removed and an artificial lens is implanted. Because the curvature of the cornea is changed in laser surgery, the eye surgeon should know the strength of the patient’s glasses prior to laser surgery when calculating the strength of the artificial lens. Cataracts are a condition in which the transparency of the lens of the eye decreases. Common symptoms are a decrease in visual acuity and contrast sensation, double vision and change in the strength of glasses. Cataracts have many different forms and causes; most often, however, they occur in old age. Cataracts are the most common eye disease and their treatment is surgical, which makes cataract surgery the most frequently performed eye surgery. The evolution of technology and eye microsurgery has also made cataract surgery one of the safest and most life-enhancing procedure. The eye works like a camera: for a person to see clearly, the lens in the anterior part of the eye focuses the image onto the fundus of the eye, from where the received image will be sent to the brain. The eye’s lens has the ability to change shape for seeing different distances. With age, its elasticity and focusing capability decreases. People who see well into the distance use plus glasses to compensate. People with larger minus glasses will then need weaker minus glasses to see well up close. Multifocal glasses with multiple focuses can also be used to see to various distances with the same pair of glasses. During cataract surgery, the ophthalmologist removes the diseased lens of the eye and implants a soft plastic artificial lens. The Health Insurance Fund compensates for a monofocal artificial intraocular lens for regular cataract surgery, which enables seeing well only to one distance. Cataract surgery, however, also allows for the implantation of a variety of so-called premium lenses, which can correct the majority of optical disorders. Thus, glasses can be discarded, regardless of whether plus, minus or cylinder glasses were used before the operation. The so-called regular or monofocal artificial lens allows for the adjustment of plus or minus glasses, but it only enables seeing to one specific distance. For example, if the recipient of such a lens sees well into the distance, then they must use glasses for seeing close, or vice versa. An eye doctor can implant artificial lenses with different strengths into both eyes, so that one eye sees sharply into the distance and the other up close, but the disadvantage of the resultant monovision is worsened eye cooperation and decreased depth sensation. Monofocal toric artificial lenses allow correction for, in addition to plus or minus, astigmatism (cylinder glasses). At the moment, the technology allows for the patient with cylinder glasses with a strength of up to 6 dioptres to discard their glasses. The monofocal toric lens, similar to a regular artificial lens, enables the patient to see well with one eye only to one specific distance. Multifocal artificial lenses allow for the achievement of good sight into the distance as well as the ability to see close up without glasses. This type of lens does not change its shape in the eye like a natural lens; the ability to see various distances results from the special construction surface of the multifocal artificial lens. For best results, the multifocal lens should be implanted into both eyes. Studies have shown that more than 80% of patients who have received multifocal lenses did not need glasses at all after surgery; multifocal lenses ensure good vision both into the distance and up close. In contrast to the previously used multifocal lenses with two main focuses, we now also offer a selection of trifocal lenses with three main focuses, in which case the focuses are more evenly distributed throughout the space, the middle distance is covered better and the result is more similar to a young person's ability to see without glasses to different distances. Multifocal toric artificial lenses allow for the achievement of a good eyesight into the distance and up close without glasses for patients with astigmatism (cylinder glasses) greater than 1 dioptre, as well.